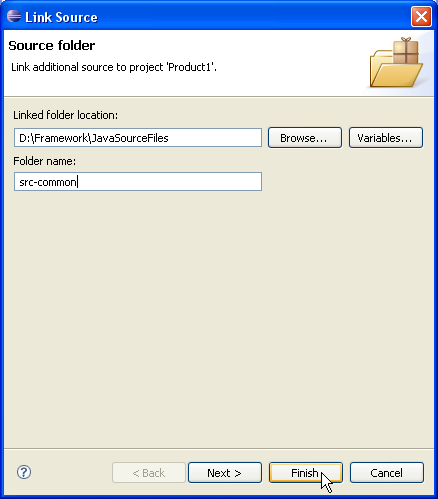 The Java source files for two products require a common framework. 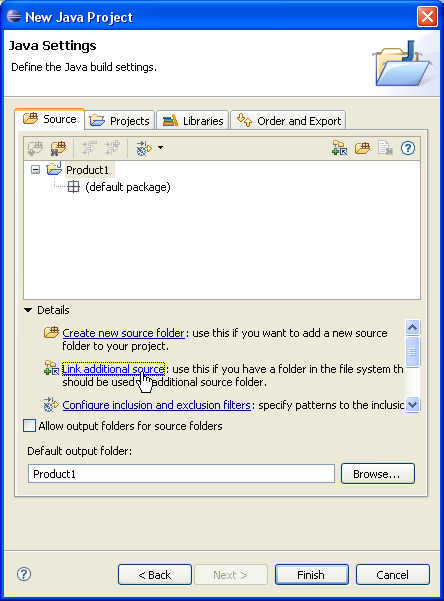 Projects and common framework are in separate directories which have their own source and output folders. 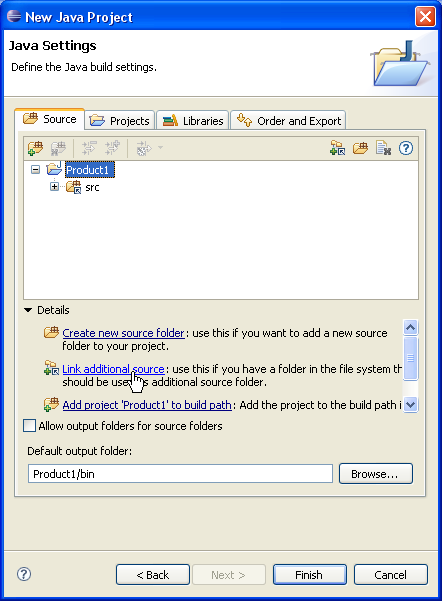 In Link Source click Browse.... and choose the D:\Product1\JavaSourceFiles directory. 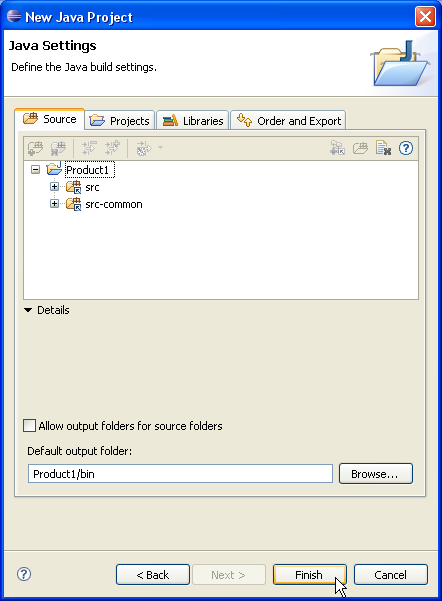 Type "src" in the Folder name field. Again, Select "Product1" and click Link additional source link in Details pane or button in view bar. 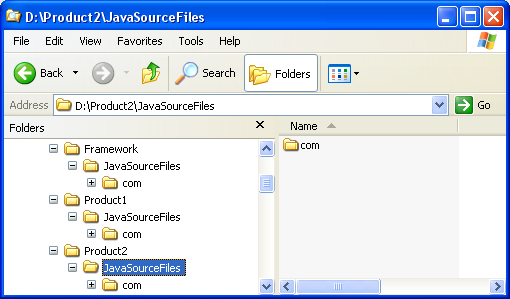 In Link Source click Browse.... and choose the D:\Framework\JavaSourceFiles directory. Type "src-common" in the Folder name field. 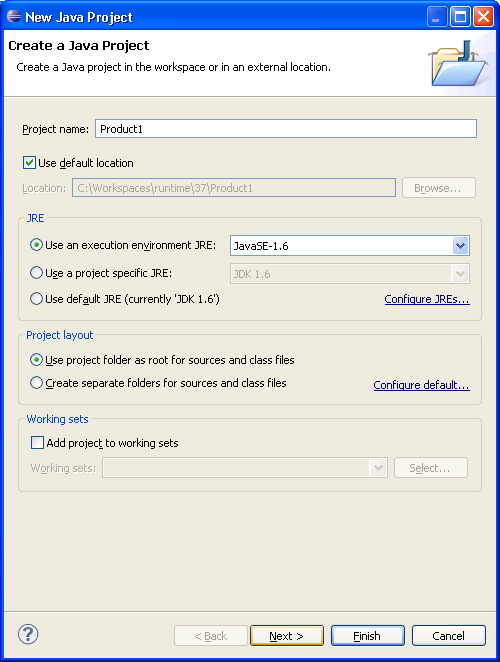 Create project "Product2" repeating steps 2 to 5 choosing D:\Product2\JavaSourceFiles directory for source folder instead. Click on Finish to create the project immediately. 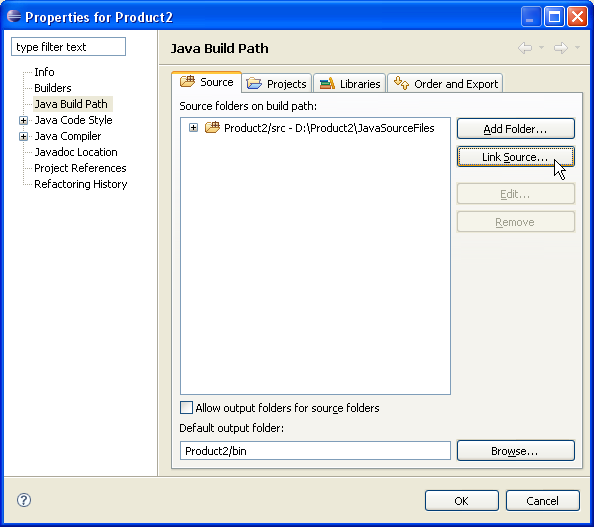 Edit project "Product2" properties and select Java Builder Path page. Click OK to apply project "Product2" properties changes. You now have two Java projects which respectively contain the sources of "Product1" and "Product2" and which are using the sources of "Framework". Note: Files in "src-common" are shared. 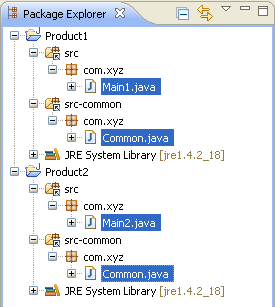 So editing "Common.java" in "Product1" will modify "Common.java" in "Product2". However they are compiled in the context of their respective projects. Two "Common.class" files will be generated; one for each project. If the two projects have different compiler options, then different errors could be reported on each "Common.java" file.